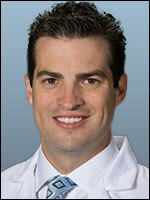 Joseph Sclafani, MD, is double board-certified in Pain Medicine and Physical Medicine & Rehabilitation. He is available for Independent Medical Evaluations (IMEs) and Expert Witness Engagements at several locations throughout the San Francisco Bay Area as well as Los Angeles County. He specializes in complex regional pain syndrome (CRPS), knee injuries, low back issues and peripheral neuropathy.